COLUMBUS, Ohio – A citizen-based environmental advocacy group today delivered a letter signed by more than 100 elected officials calling on Gov. John Kasich to support the authority of local communities to limit and prohibit fracking operations within their borders. Kasich’s spokesman said the letter-writers were taking the wrong approach. The Ohio Supreme Court, in a 4-3 decision in February, denied home rule power by cities and villages when it shot down a bid by Munroe Falls to use zoning a to keep a fracking company from drilling an oil and gas well inside the city’s limits. The court majority cited a 2004 state law, signed by then-Gov. Bob Taft, that gave the state “sole and exclusive” power to regulate oil and gas production in Ohio. One of the signers of the Environment Ohio letter, James O’Reilly, a law professor at the University of Cincinnati and a councilman in the Hamilton County city of Wyoming, said the Supreme Court decision showed the influence of the Statehouse oil and gas lobby in Columbus. But O’Reilly said local communities are not powerless to make their own choices about whether to welcome or reject oil- and gas-drilling operations into their neighborhoods. “Even if we’re stuck with the court’s decision, and the governor is going to side with the oil and gas industry, there are several steps we can take that are still valid,” O’Reilly said. He recommended using local ordinances to enforce road weight limits on fracking trucks in an effort to prevent the degradation of bridges, culverts and roads; enforcing local noise ordinances and curfews to limit drilling operations to daylight hours, and prevent drilling 24 hours a day, seven days a week; and to enforce air quality ordinances that restrict air emissions that could aggravate childhood asthma. Environmental groups scoffed at those conclusions, pointing out that the same report contained evidence of spills, leaking wells, improper disposal of fracking wastewater, and earthquakes caused by fracking, and noting that the petroleum industry declined to cooperate with the study. In Northeast Ohio, Ben Lupo, the owner of a Youngstown-based oil- and gas-drilling company, is serving a two-year sentence in a federal prison for ordering the dumping of tens of thousands of gallons of fracking waste into a tributary of the Mahoning River in violation of the federal Clean Water Act. Lupo, owner of Hardrock Excavating, ordered an employee to dump the polluted water into a drain on at least 20 occasions in 2012 and 2013. The waste contained a mixture of saltwater brine and a slurry of toxic oil-based drilling mud, containing benzene, toluene and other hazardous pollutants. Frost cited the case of a home in Bainbridge Township exploding in 2007 due to high levels of methane gas from a fracking operation that had polluted a drinking water well as one local instance. A panel assembled by ODNR found that a poorly constructed well casing allowed gas to migrate along the edge of the casing, up the pipe and into the home, where it caused the explosion. In 2012, two Medina County couples sued an oil- and gas-drilling company, accusing the fracking operation of polluting their private drinking water wells in Granger Township. The case was resolved and dismissed in February. determine whether, where, and how this dirty drilling is conducted within their own borders. fracking pollution with a wide range of health risks including cancer. values— are likely to persist long after the boom is gone, and we will be the ones left to pick up the pieces. for this right of local control here in Ohio. Signed by 100 community leaders statewide. More than 100 local officials asked Gov. John Kasich for the authority to ban or regulate oil and gas drilling after several courts said they had little power. A recent Ohio Supreme Court decision said state officials, not local ones, have the power to approve the location of wells used in the oil and gas drilling process called fracking. The case started when the Ohio Department of Natural Resources allowed a company to drill in an Akron suburb without city officials’ approval. 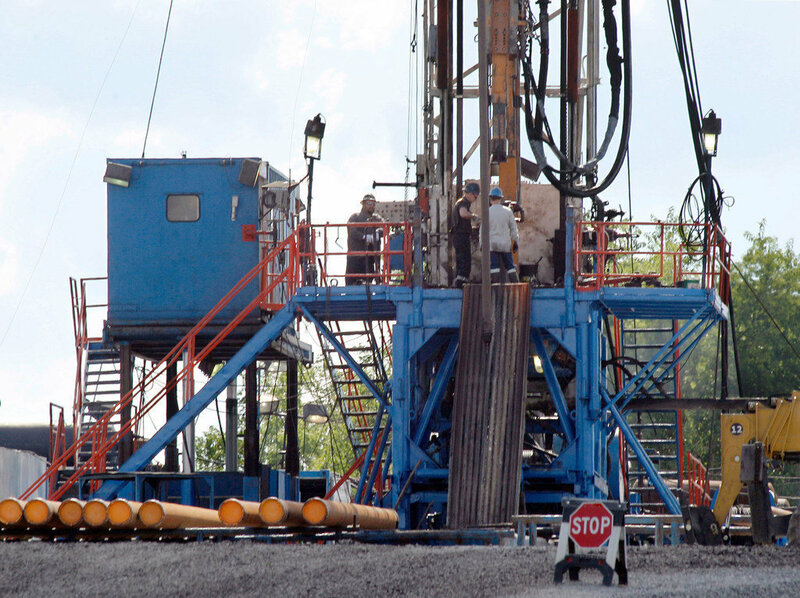 Since then, Cuyahoga County and Athens County courts ruled that charter cities, like Broadview Heights and Athens, don’t have the power to ban fracking. That could be a problem for cities like Mansfield, where officials have said their charter status protects them from the state supreme court decision. City and county leaders say they should have more control over potentially dangerous chemicals introduced into their air and water. They asked Kasich in a letter to “stand up for the right of all communities to determine whether, where, and how this dirty drilling is conducted within their own borders.” Newark City Council members Carol Floyd and Jeremy Blake signed the letter along with Constance Barsky and Michelle Lerner of Granville. 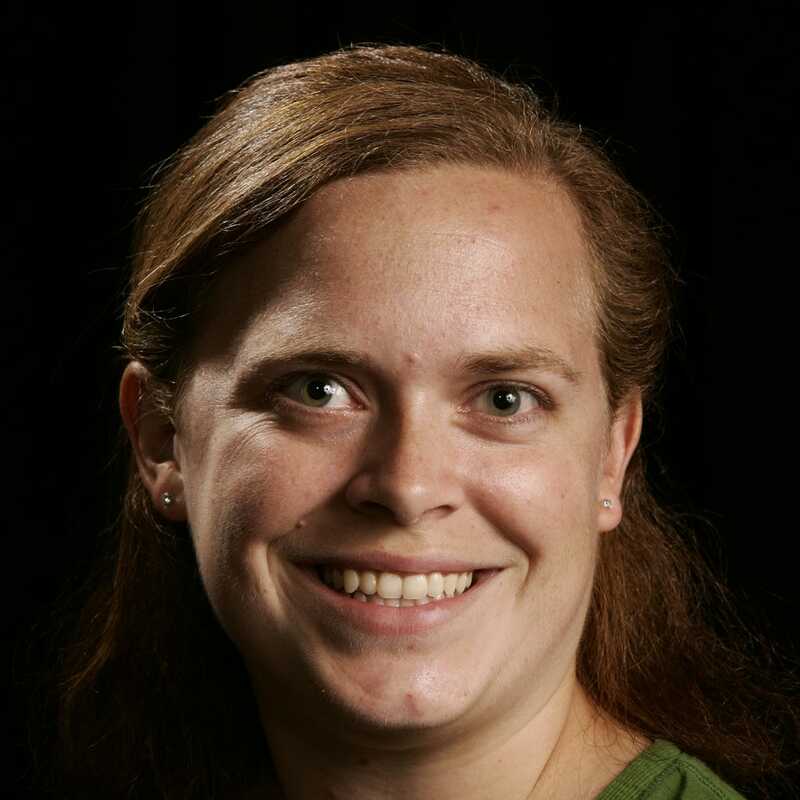 “Fracking brings local harm, so it should be subject to local control,” said Sarah Frost, outreach coordinator for Environment Ohio, a non-profit environmental group that collected signatures. She cited a house explosion in Geauga County, earthquakes in Youngstown and a fire in Monroe County as examples of the dangers associated with fracking. But don’t expect much change. Kasich spokesman Jim Lynch said Ohio has some of the strongest and most comprehensive fracking regulations in the country. The Ohio Oil and Gas Association would rather be regulated by the state, too. “We strongly believe that oil and gas development is a matter of statewide interest and should be managed by professionals with the expertise to adequately regulate and oversee the industry,” executive vice president Shawn Bennett said in a statement after the Ohio Supreme Court decision. The group of local officials proposed no statewide legislation to give them authority over fracking. Instead, Wyoming city council member James O’Reilly proposed several workarounds, including zoning laws to prohibit injection wells, stricter weight limits on trucks to prevent oil and gas companies from transporting waste and noise ordinances to restrict sound during the night. “If the effect is they can’t drill and they can’t dump, then so much the better,” said O’Reilly, who works as a University of Cincinnati law professor. With nearly 30,000 new injection wells being drilled each year, hydraulic fracturing, or “fracking,” is a rapidly expanding method of oil and gas extraction which involves injecting large volumes of fluid or sand at high pressure into an underground well to extract oil and gas from fractures created in the underground rock. Fracking’s proliferation has been contentious, and last week, the U.S. Environmental Protection Agency aligned itself with fracking industry advocates when it released its long-awaited assessment of the impacts of hydraulic fracturing on drinking water. After evaluating the various mechanisms by which fracking could impact drinking water resources, the EPA found no evidence that hydraulic fracturing has led to widespread, systemic change in the quality or quantity of drinking water resources in the United States. The only evidence of fracking’s impacts on drinking water were isolated incidents, almost all of which are traceable to the small subset of fracking wells that fail to meet current industry safety standards. The study concludes that modern fracking technology, when properly implemented, is protective of both ground and surface waters. While the EPA claims it lacks a point-of-reference to evaluate changes in water quality, it does not claim insufficient water quality data. This is a crucial distinction, as water quality standards are not set by the change in concentration of a particular contaminant, but rather by absolute concentrations. For drinking water, the EPA sets maximum contaminant levels (MCLs). Although the deltas of various substances’ concentrations may be needed to assess any impacts to waters, they are not needed to assess the more pragmatic question raised by the EPA: whether fracking activities cause widespread, systemic change in the quality or quantity of drinking water resources in the United States. Instead, the EPA’s evaluation of water sources near fracking activities largely revealed what existed before fracking operations began: a body of water which could serve as a source of drinking water. The EPA’s assessment also notes that even a moderate change in the concentrations of certain compounds would be noted by treatment plants. Elevated bromide levels, for example, can make it difficult for plants to meet drinking water MCLs, as bromide interacts with a disinfectant, such as chloride, forming a tertiary compound which is then difficult to remove. The EPA states longer-term studies would account for the “several years” it can take for spilled fluid to infiltrate soil and then leach into ground water. Fracking, however, has been quite active during the past 10 years, and even long before that. Absent a specifically identified spill or slow-moving chemical impact, which the EPA has not identified, there is no reason to believe we aren’t already seeing and evaluating the long-term impacts of fracking. The EPA further qualifies its findings by noting that the chemical makeup of wastewater produced from fracking is rarely assessed as part of spill response. It follows, says the EPA, that the chemicals contained in the wastewater, along with their relative concentrations, usually remain unknown, meaning the wastewater’s long-term potential impacts to drinking water are also unknown. But this assumes a significant number of fracking spills impact drinking water. In the course of its assessment, the EPA evaluated 457 spills related to fracking activities which occurred between 2006 and 2012, only 151 of which involved the fracturing fluid or its chemical additives. Of those spills, the median volume was only 420 gallons, only 13 reached any surface water, and none reached groundwater. Given only 13 of 457 spills even touched a potential source of drinking water, the chemicals in fracking wastewater are unlikely to have caused unknown impacts to drinking water. The EPA’s study is misleading to the extent that it implies that but for “other sources” of contamination, fracking would be linked to pollution. To use one of the EPA’s own examples, a fracking well located near natural methane concentrations may result in methane naturally migrating into, and contaminating, groundwater. Thus, when methane gas is eventually found in the groundwater, it may be unclear whether the gas originates from the well or from the natural source. Scientists and statisticians, however, can establish the origin source, both through modeling and by analyzing the isotopic composition of the gas, in the case of methane contamination. The “other sources” therefore do not preclude finding a definitive link between fracking and pollution. The studies cited by the EPA are unable to correlate the pollution and fracking activities in this manner. The assessment makes clear that the EPA is unsettled by the 70 percent of fracking wells that still withhold from disclosure at least one injection chemical compound based on confidentiality concerns. The report compiles a list of 1,076 different compounds used in injection solutions, issuing a warning that it has not begun to assess the health impacts of even a fraction of these. But according to the EPA’s report, the number of unique chemicals per well range from four to 28, with a median of only 14. These chemicals include not only those known to be toxic at certain concentrations, but also the more mundane, such as acetic acid (better known as vinegar). Given the limited number of chemicals used per well, the risks of sparsely used compounds with less-studied impacts is attenuated. The EPA’s assessment offers broad support for the position that hydraulic fracturing activities pose little danger to drinking water. The caveats in the EPA’s study, while unnecessary, do little to undermine its cardinal premise: that it has found no evidence to support the contention that hydraulic fracturing has led to widespread, systemic change in the quality or quantity of drinking water resources in the United States.